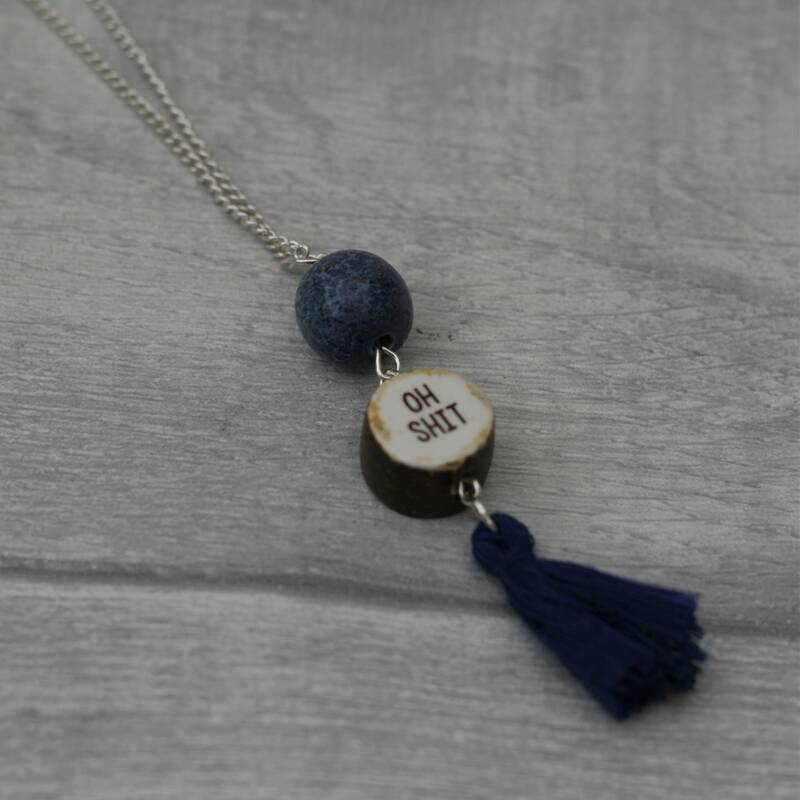 This necklace has been made with a ceramic swear word bead and a tassel has been added to make it a bit girly. The charm has then been added to an 24” (60cm) silver plated chain. • The curse is approximately 1" (2.5cm) wide. • All butterfly necklaces come with an 24” (60cm) silver plated chain. • This necklace is very lightweight to wear. • Although this necklace has been made with the greatest care and attention, we recommend not taking it in the shower or swimming pool.